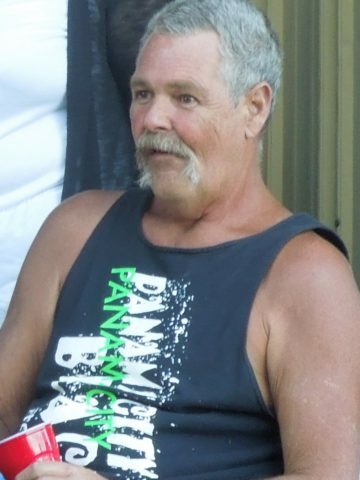 Dennis Wix, Jr. age 62 of Cedar Hill, passed away on October 16, 2018 at Skyline Medical Center in Nashville. Carter Dennis Wix, Jr. was born to C.D. “Donk” and Joan Wix in Springfield on October 11, 1956. He was a graduate of Todd Central High School in 1974. He worked for 37 years as a foreman for Rapistan Dematic Conveyor Systems before retiring. Dennis was described as a simple man that had a heart of gold. He loved his children and grandchildren. You could find him most days after retiring sitting under a tree drinking sweet tea and working on his vegetable garden. Tina and Amber said they will always remember the special summers spent traveling with their Dad all over the United States. Memories like this will forever be remembered and shared between family members and friends. Dennis was preceded in death by his dad, C.D. “Donk” Wix; son, James Matthew Wix and sister, Vickie Chezem. He is survived by his mother, Joan H. Wix; his beloved daughters, Tina (Darrell) Thaxton and Amber (Matthew) Goodwin, their mother, Lisa Kimberly; step-son, Christopher Horton; grandchildren, Kelsey Thaxton, Dalton Thaxton, Gracie Goodwin, Dylan Goodwin, Perry Allen Osborne, Jr., Alexzander Goodwin, Ricky Evert and Natalie Horton; great-granddaughter, Kailsey Thaxton; brother, Bob (Elizabeth) Chezem; brother, Wayne Wix; sister, Leigh Ann (Raymond) Clinard and a magnitude of cousins, nieces and nephews. Service will be held on Saturday, October 27, 2018 at 12pm in the Chapel of South Haven Baptist Church 116 Academy Drive Springfield, TN 37172 with Brother Frank Gagliano officiating. My heart breaks for you & your family. Prayers for comfort and strength during these tough days ahead. thank you it has been a long road for us but we are making it.